Whether you've seen only a couple or every single one of their fourteen films enough times to quote them by heart, you know Joel and Ethan Coen make movies like no one else in cinema. The Oscar-winning Coen brothers' quirky and enduring films are rich with meaning--much of it hidden just beneath the surface, gems of spiritual and existential insight waiting to be excavated. 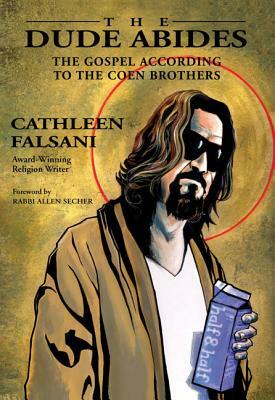 Join award-winning religion columnist Cathleen Falsani as she explores the deeper truths found in these engrossing movies. Falsani examines each of the Coen brothers' films, from their debut, Blood Simple, to their latest, A Serious Man. Ranging from iconoclastic comedies such as Raising Arizona and The Big Lebowski to an unblinking treatise on the nature of evil in No Country for Old Men, the Coen brothers have created moral universes in which some of life's essential questions are asked--if not always answered. These queries run the gamut from the meaning of life and enlightenment, to the fundamental nature of truth and love. There is seemingly no question the Coen brothers are afraid to tackle, either with a wink and a smile or brutal honesty (and sometimes both). As Falsani examines the soul of the movies, she weaves her own experiences, impressions, and cultural and spiritual analysis with a journalist's keen eye for investigation and a film lover's passion for the cultural medium. By turns thought-provoking and entertaining, you'll come away with a new admiration for these sometimes bizarre, always clever, and unmistakably virtuoso filmmakers and their films.